Gathering more than 50 policymakers, regulators, experts and business representatives a comprehensive guidebook on effective and cost optimal wind project development in Ethiopia was launched at a seminar in Addis Ababa. 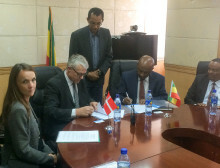 The report is a part of the Danish-Ethiopian cooperation on utilizing Ethiopia’s huge wind energy potential through the Accelerated Wind Power Generation in Ethiopia (AWPGE) programme. As the Danish ambassador to Ethiopia Ms. Mette Thygesen explained “Ethiopia is blessed with a tremendous wind potential and this could potentially be a cost-effective solution for a better power generation mix and seasonal complementarity to the current hydro-based system”. 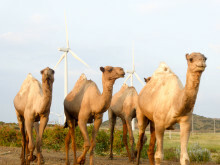 Currently only some 324 MW of wind power capacity is installed in Ethiopia. Ethiopia’s Growth and Transformation Plan (GTPII) calls for almost 1,000 MW of additional wind capacity to be installed in the near future. An important part of the development of the infrastructure of Ethiopia including the energy sector will be a joint effort between the public and private sector. To lay the foundation for these plans the Parliament ratified the comprehensive Public-Private Partnership (PPP) Proclamation on 25 January 2018. As the Ethiopian Minister for Water, Irrigation and Electricity Dr. Eng. Seleshi Bekele explains “It is our belief that private sector investment will play a significant part in enabling the achievement of the strategic objectives for the energy sector” but adds that “to achieve an attractive business environment there is a great need for concerted support to develop robust institutional, regulatory and legal frameworks”. The Roadmap report includes a thematic policy and action matrix for accelerating wind power generation in Ethiopia, providing a blueprint for matching the new policy guidelines for PPPs in the energy sector with best international practices. The matrix captures also initial and high prioritized initiatives versus long-term sustainable procedures for developing and scaling up IPP wind power in large scale. Within the matrix, the different themes and sectorial focuses suggested for Ethiopia are directly addressed to the relevant implementing bodies and responsible units of the country. This will constitute a solid ground reference to ensure an effective cross-functional working flow among the different government organizations of the country. 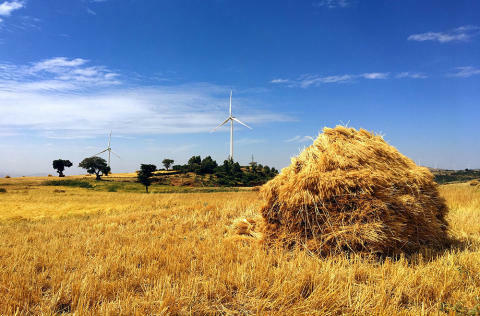 Read the Wind Project Development Roadmap which presents a thematic policy and action matrix for accelerating wind power generation in Ethiopia. 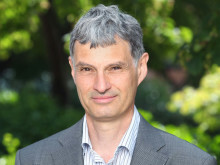 An important aspect of the Roadmap report is that it puts focus on how to split of tasks and responsibilities in connection with the planning, development and operation of a modern wind power project. Who will be best suited to be responsible and carry the risk of the different development steps of a wind project? This is important to clarify in order to reduce investment costs and lower risk premiums and consequently lower power prices. Creating clear and strong political and regulatory framework for wind energy in Ethiopia should be an essential pre-condition to enable attractive bid prices for the planned tenders for large-scale wind project for independent power producers going forward. The report is also well suited for other countries both in the region and elsewhere that are looking for ways to tap into wind resources in a cost effective way via competitive tender procurement mechanisms.